The risk of cancer correlates with age, which may be measured in various ways. The easiest measure—chronologic age—may not be the best. Instead, cancer risk may be better estimated by measuring biologic age, which is a matter of how well the body is working—or how well the body can be expected to work, given the state of the body’s DNA. During normal aging, DNA accumulates methyl groups, epigenetic marks, at a rate that is faster or slower in different people. If the epigenetic clock runs fast, biologic age may exceed chronologic age, with implications for cancer risk. 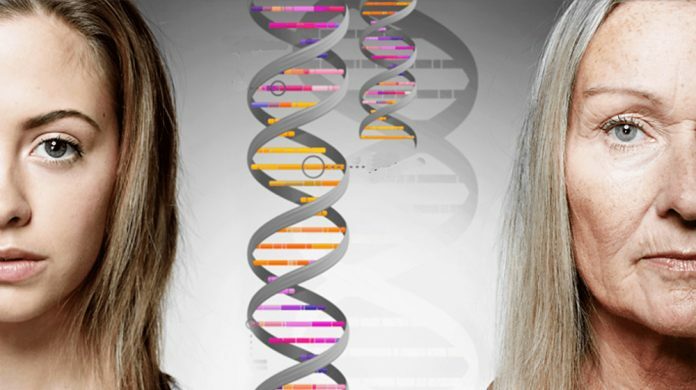 How much might the risk of breast cancer be elevated when the epigenetic clock runs fast? To answer that question, scientists based at The National Institute of Environmental Health Sciences (NIEHS) measured baseline blood DNA methylation and looked for an association with the risk of developing breast cancer. The scientists, led by Jack A. Taylor, MD, PhD, senior investigator, NIEHS, determined that such an association does in fact exist. Details of the study appeared February 22 in the Journal of the National Cancer Institute, in an article entitled, “Methylation-based biological age and breast cancer risk.” The article indicates that the NIEHS team examined data from the Sister Study, a group of more than 50,000 women in the United States and Puerto Rico. In the Sister Study, methylation data was available for a subset of 2764 women, all of whom were cancer-free at the time of blood collection. The study also specifies that the NIEHS team assessed the degree of methylation at three different DNA regions. Essentially, the team consulted three different epigenetic clocks. The authors also noted that although biological age may accelerate with menopausal transition, age acceleration in premenopausal women independently predicted breast cancer. Lead author Jacob Kresovich, PhD, a fellow in the Taylor group, had read studies that used epigenetic clocks to predict age-related mortality. Since age is the leading risk factor for breast cancer, he hypothesized that age acceleration may be associated with higher breast cancer risk.